Before hitting the panic button, please note that this is optional functionality and it has to be granted to executive users on a case by case basis. 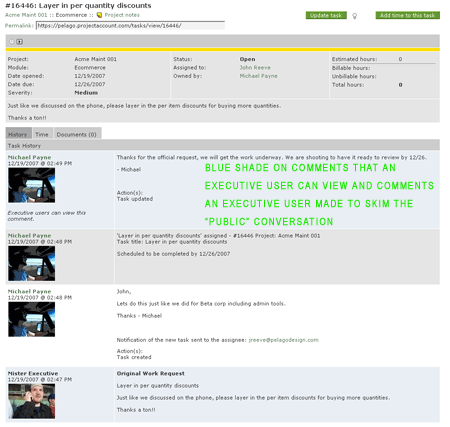 We are trying to balance different views of executive users from Intervals account holders. 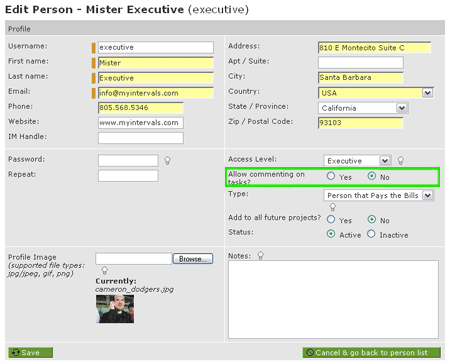 Some want to make executive users more intertwined with the process of submitting and approving work, while others want to keep executive users in a limited view mode. We have been getting strong feedback in both directions. 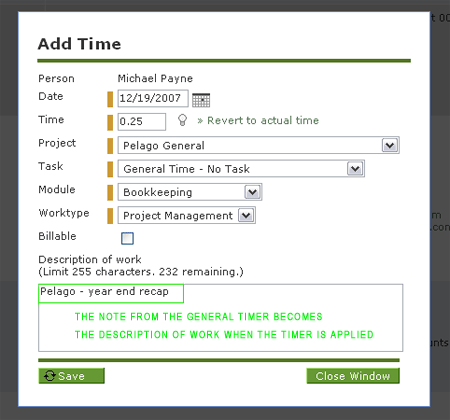 More improvements are planned with the general timer and labeling but we wanted to make sure we got the core functionality launched in 2007. 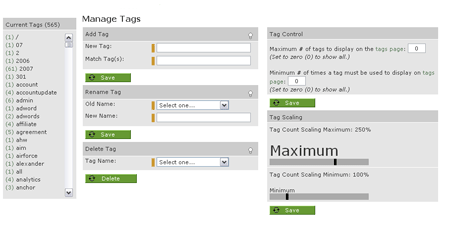 This is an advanced feature that allows you to delete tags, edit tags, combine tags, and control the visual settings of the tag cloud. Tags are a great way to organically categorize documents, but over time (especially with different users naming things differently) tags can become a little out of control. This feature set allows you to wrangle things back into order. Footer tuning – more real estate is dedicated to timers. A lot of hosted software has fixed dimensions and is anchored center, but we do not want to go that route (especially given the fact that many Intervals users have large monitors). This makes it tricker for us to develop, but we are committed to it and needed to shuffle around the footer for smaller monitors. We have more improvements on the way in 2008…we’ll keep you posted. 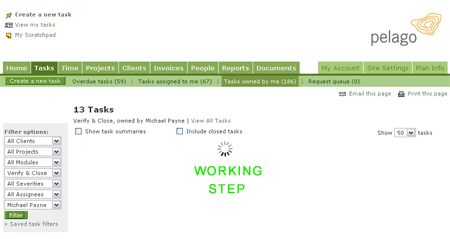 Nice improvements with the time tracking package. 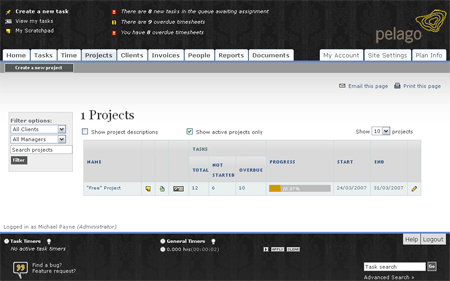 We are currently using communiclique to track our current projects. I am going to test drive intervals to see how the two software packages compare.